Clinical Assistant Professor of Dermatology at Ohio State University in Columbus, OH. Reliable recent data for disease prevalence among athletes are not available, though it seems from clinical experience that superficial cutaneous infections—tinea pedis, tinea cruris or “jock itch,” tinea corporis, tinea faciale, and tinea manus—are more common complaints among athletes than is onychomycosis. Allergic contact dermatitis of the feet or hands may mimic tinea pedis or manuum, respectively, and must be considered in the differential diagnosis. Of note, a dermatitis that develops on both hands and both feet is more likely to have a systemic cause rather than to be an allergic contact dermatitis.8 Conversely, involvement of two feet and one hand suggests a primary fungal infection of the foot that has been transferred to one hand only.9 Why the other hand is not involved is still a puzzlement. Strategies to prevent recurrence or subsequent infection are as important as medically treating the dermatophytosis, though some proposed strategies may be unrealistic for patients. (See sidebar.) Simple preventive strategies have been shown effective. Wearing clean socks (but not stockings) was shown to prevent passage of dermatophytes from colonized shoes to the feet.10 In addition to wearing shower shoes, individuals with healthy feet who use public showers should wash the feet with soap and carefully wipe and dry the feet to remove any adherent dermatophytes. Laundering at temperatures of 140 degrees F or higher can remove or kill T. rubrum and C. albicans.11 This is a standard temperature for home water heaters, so residential washing machines can achieve this temperature. Permitting shoes to dry thoroughly before wearing them again may also be effective for reducing dermatophyte transmission. Prophylactic topical antifungal therapy applied at intervals may be indicated for those at high risk for or with a history of recurrence of dermatophytosis. Tinea pedis or manuum may provide a reservoir of dermatophytes leading to onychomycosis, though in some cases nail involvement is a primary presentation. Development of topical therapies for onychomycosis has proven challenging, due to the difficulty of penetrating the nail plate to deliver drugs to the nail bed, the site of infection. Therefore, systemic antifungal therapy has been the mainstay of treatment. Although systemic terbinafine and itraconazole are shown to be effective and generally safe for the management of onychomycosis,12 there are potential risks associated with therapy.13 Given this albeit very low risk, some patients prefer to avoid or postpone systemic therapy. For distal subungual onychomycosis, a topically applied, low-viscosity, alcohol-based antifungal solution (sulconazole nitrate 1%, Exelderm, Ranbaxy Laboratories) may offer benefit when properly applied. Therapeutic success requires that the patient deliver the solution directly into the nail bed by placing the toe or fingernail in an upright position then instilling one to two drops subungually between the nail plate and nail bed. The patient should hold the toe or finger in an upright position for 30 seconds, to allow gravity to pull the active agent into the nail bed. Treatment should be applied twice daily. Coexistent tinea pedis or manuum must be managed to minimize the risk of re-infection of the nail. Superficial cutaneous yeast infections may be predominantly caused by Candida. Among immunocompetent individuals, candidiasis may be especially common in the inframammary folds or genital crease region (more so for women than men). 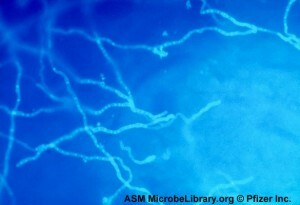 Culture can be used to distinguish Candidiasis from dermatophytosis. Topical antimycotics are standard treatment for candidiasis, particularly clotrimazole or ketoconazole. Oral fluconazole is the primary systemic agent with anti-Candida activity. Another yeast infection that may affect athletes is Malassezia folliculitus (previously called pityrosporum follicultius). Papulopustules are found in a follicular pattern on the back, chest, upper arms, and, occasionally the neck, and face into the scalp. Monomorrphous erythematoid papulpustules measure 1-2mm in diameter and are frequently misdiagnosed as acne vulgaris. The yeast is ubiquitous on the skin and its growth is encouraged by heat. Moisture, friction, occlusion, sweating and increased oil production appear to contribute to exacerbation. Panackal AA, Halpern EF, Watson AJ. Cutaneous fungal infections in the United States: Analysis of the National Ambulatory Medical Care Survey (NAMCS) and National Hospital Ambulatory Medical Care Survey (NHAMCS), 1995-2004. Int J Dermatol. 2009 Jul;48(7):704-12. Kohl TD, Lisney M. Tinea gladiatorum: wrestling’s emerging foe. Sports Med. 2000 Jun;29(6):439-47. Pickup TL, Adams BB. Prevalence of tinea pedis in professional and college soccer players versus non-athletes. Clin J Sport Med. 2007 Jan;17(1):52-4. Watanabe K, Taniguchi H, Katoh T. Adhesion of dermatophytes to healthy feet and its simple treatment. Mycoses. 2000;43(1-2):45-50. Hammer TR, Mucha H, Hoefer D. Infection risk by dermatophytes during storage and after domestic laundry and their temperature-dependent inactivation. Mycopathologia. 2011 Jan;171(1):43-9. Gupta AK, Cooper EA. Update in antifungal therapy of dermatophytosis. Mycopathologia. 2008 Nov-Dec;166(5-6):353-67. Aly R. Tinea Pedis: Epidemiology, Clinical Manifestations, PAthophysiology, and Therapy. in Cutaneous Infection and Therapy. Aly R, Beutner KR, Maibach H, eds. 1997. Marcel Decker, Inc. New York, NY. Daniel CR 3rd, Gupta AK, Daniel MP, Daniel CM. Two feet-one hand syndrome: a retrospective multicenter survey. Int J Dermatol. 1997 Sep;36(9):658-60. Tanaka K, Katoh T, Irimajiri J, Taniguchi H, Yokozeki H. Preventive effects of various types of footwear and cleaning methods on dermatophyte adhesion. J Dermatol. 2006 Aug;33(8):528-36. Gupta AK, Konnikov N, Lynde CW. Single-blind, randomized, prospective study on terbinafine and itraconazole for treatment of dermatophyte toenail onychomycosis in the elderly. J Am Acad Dermatol. 2001 Mar;44(3):479-84. Ajit C, Suvannasankha A, Zaeri N, Munoz SJ. Terbinafine-associated hepatotoxicity. Am J Med Sci. 2003 May;325(5):292-5.